Today I had a call from Yaneth our Head Teacher in the Dominican. It was nice to hear her voice. Although I speak very little Spanish and Yaneth very little English we always manage to communicate our love for one another and when I hear her voice it reminds me of all the reasons I do what I do. I find I need that reminder when I am home in the USA - life here is lived at such a fast pace with us cramming in so many details in every minute of our lives that it is easy to loose track of how wonderful it is to hear an old friends voice. Our silent auction was held at the Heathman Hotel in Vancouver, WA this year and what a great sucess it was! Our board members and friends were busily rousting up donations to fill the tables. They brought in 88 auction items and 12 raffle prizes! There was a full house with the attendance at 107! How exciting it was to see the growth of our little non-profit. Proof in my mind that when you are following your heart with love and integirty - good things will come. We were blessed with designated donations from individuals who wanted to provided electrical power to the school and our mission house. It was an unexpected gift - Thank you Randy & Teresa and Dave & Pam - You made my heart soar! Having electricity on demand will be a real blessing to Habanero. It means we'll have lights to see, fans to cool, we will be able to pump water to our gravity flow system when needed, we can show a movie to the kids without interruption, we can have full time refrigeration, we can have evening Adult English classes, we can recharge our phones, laptops when the mission teams are there and so much more! There is no doubt what a small group of committed people can do! 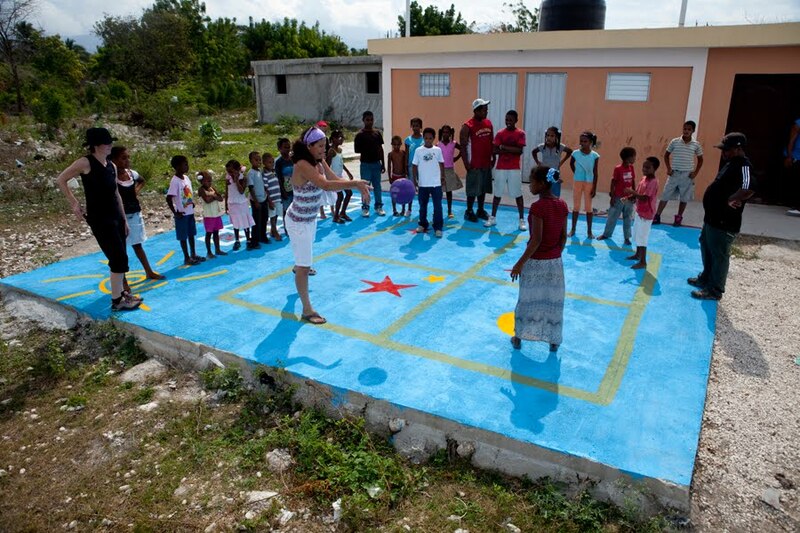 In addition to providing electrical power our donors funded the school for nine months. We are in the best financial position we've ever been in and it is due to caring people that step up and do what needs to be done when they see a need. Thank you all so very much. Hola again! Working late to get the 2nd blog in of the month! My teacher's from way back when were right............... Brenda is CAPABLE of doing the work, but she'd just rather socialize! 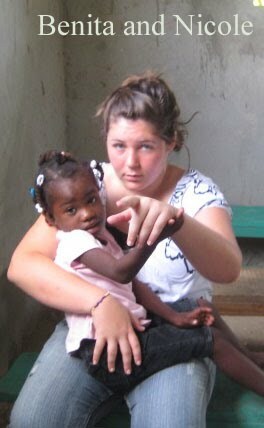 I've posted four photos of children Evergreen4kids helps to support. We provide extra food, vitamins, medical and dental care to these vulnerable children. Brendita will be five years old in October. She has one crossed eye and one with a cataract. School is difficult because she can only see with the crossed eye. We are trying to arrange surgery for both eyes. 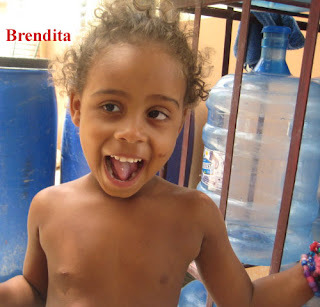 Benita is also five years old and from Haiti. She and her Father showed up in Habanero sleeping on the ground by the river while her Father was trying to find work. 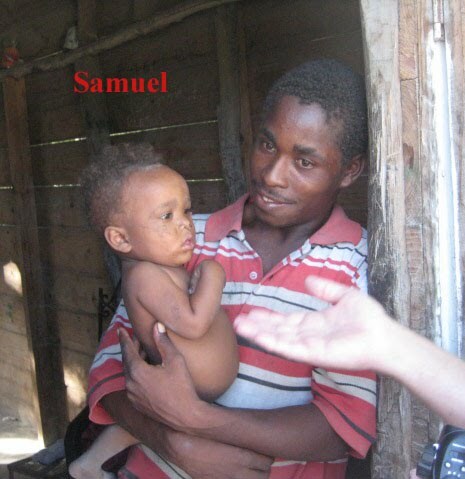 After about four months the Father decided to move on and he "gave" Benita to a Dominican family in the village. Her life was destined to be sub-servent to the other family members - at five she already swept their house and slept on the cement floor with no blanket or pillow. Our head teacher Yaneth now has custody of Benita and she is thriving in her new home. Samuel is 1 year old and weighs just 12 lbs. We have been providing liquid vitamins and prescription formula for him since last February. He is growing but he is still fragile. Yaneth continues to check on him and Evergreen4kids continues to meet his physical needs. Esmeralda was born to a prostitute on June 19th. At one week old the police found her hungry and naked as her Mother was stoned and panhandling in a public park. 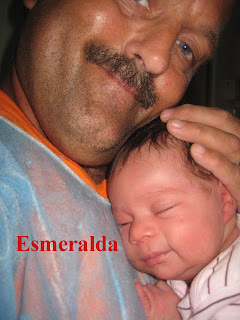 The authorities took Esmeralda into custody and the doctor at the hospital named her Esmeralda Carolina. Evergreen4kids helped a relative gain custody from the authorities by bringing the house up to standard, providing a crib and agreeing to provide for Esmeralda's basic needs. What a blessing to be able to reach out and help these children. They are a gift from God and precious in His sight! Has it been a month since I blogged? Is it Is it possible? Could it be that long ago? Every visit to the DR I make a promise that I am going to blog at least once a week......... Well, it never happens.... While there I become so absorbed in the day to day life of Habanero that blogs just seem to be too "advanced" - Anyone that has been there understands what I mean, life is at a different pace there and "technology" isn't always within reach. Which is not a bad thing people! Some days are just about playing marbles with children that don't have a bucket full of animated electronic toys or a pink plastic Corvette full of wild haired Barbies. Some days are just about taking photos of smiling faces and turning the camera around so the children can see their own images perhaps for the first time! Experiencing the joy of sharing precious moments face to face and building relationships is top priority during our visits to the Dominican. It's refreshing to our souls and inspiring to the children. We arrive feeling like rock stars surrounded by adoring fans. We leave with tears in our eyes and parts of hearts left behind. Our first five team members arrived safely at Las Americas airport in Santo Domingo yesterday. Even after the long flights everyone was in good spirits. After a few hugs and welcomes the bags were loaded on the bus and off they went on the last leg of the trip to Habanero. They arrived safely in Habanero for a good nights sleep. Today will be a day of rest and playing with the children. Work begins tomorrow. Please pray for all!!! Life is different here that is for sure. 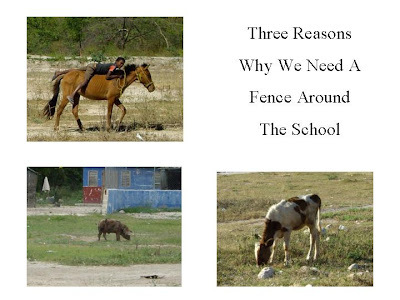 We have a meeting today with a Dominican friend that might be able to help us with some of the supplies needed for our fencing project. In the meantime I've added some photos which were taken by my very talented husband. It is Scott's first time here and he loves to take photos and he loves the people.